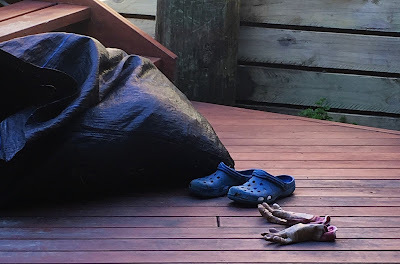 This is something they don't warn you about, when you go to Antarctica: that you get so used to seeing seals lying around just about everywhere, that when you're back home going about your business and catch a glimpse through the doorway of the bag of mulch and pair of Crocs and gloves you yourself left on the deck outside, your first thought is "Oh! Elephant seal!" Of course, it probably didn't help that I've just been writing about that fabulous Silversea cruise yet again, and poring over the photos. The focus this time is South Georgia, that previously-unknown (to me) island group that turned out to be in serious contention with the Antarctic Peninsula itself as star of the whole expedition. My angle is the Kiwi connection - of course, the awesome Frank Worsley, of Akaroa, captain of Shackleton's Endurance, who managed to aim that little lifeboat unerringly from Elephant Island 1300km towards South Georgia, despite getting a navigation sighting only four times in the 16 days it took, so horrendous were the conditions across Drake Passage. And he was one of the three who then lit out straight away across the mountains and glaciers to the nearest help at the Stromness whaling station on the other side of the island - 36 hours of continuous effort. And their equipment! No map, heavy wool and oilskin clothing, and screws fitted to the soles of their shoes for better grip on the ice (didn't work). But there was another Kiwi element to my South Georgia visit, which has two current connections: terriers Wai, Will and Ahu (and their handlers Miriam and Jane), who were there when I was, on Christmas Day, carrying out the final phase of a seven-year pest eradication programme, the biggest ever in the world. They have been busily scouring the main island since late December, sniffing for rats and hopefully not finding any, allowing the South Georgia Heritage Trust to announce soon, this month, that the programme has been a success, and all the rats are gone. That will be a huge boon to all those ground-nesting birds: lots of seabirds, of course, as well as Antarctica's only songbird, the pipit (which I heard chirping tunefully away) and the pintail duck, which I also saw. And, naturally, penguins: King, Gentoo, Macaroni and chinstrap, all of which I saw in their thousands (and heard, and smelt). Fabulous birds. 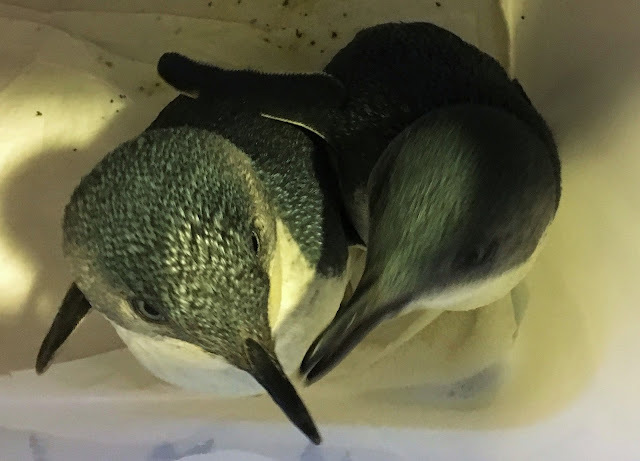 The King is the second-biggest - and this afternoon I got hands-on with the smallest species, the little blue penguin, native here, and which has had a terrible time this summer. So many deaths! 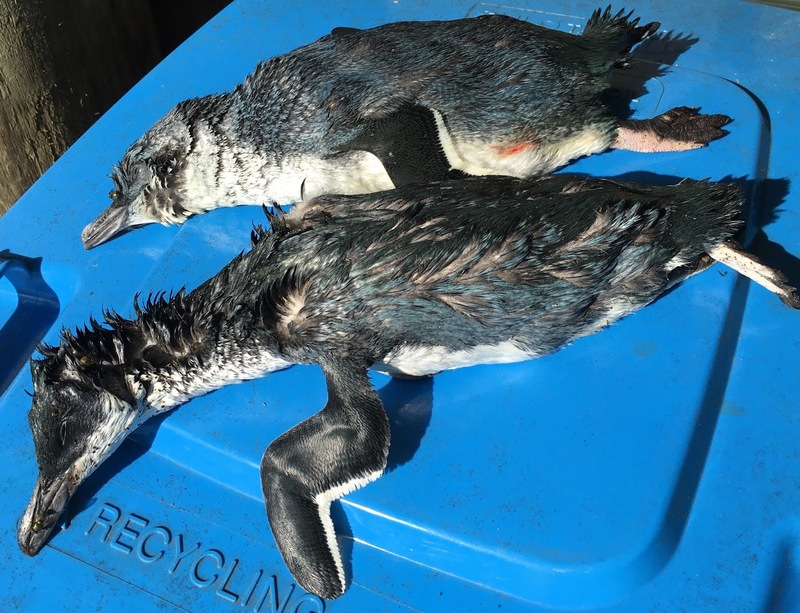 I've found three myself this year already, washed up on the beach: starved to death, mostly, because of too-warm sea conditions, water made murky by storms, and over-fishing. Very sad. So I went to see what the bird rescue lady does with the five she has currently in her care. In a nutshell, it's lavish oodles of time, care and a not inconsiderable amount of money on them. For no reward, monetary or, it has to be said, avian. Ungrateful lot. I tell you from personal experience, those penguins may indeed be little, but they will bite the hand that feeds them - hard!